If a plant’s operating settings have changed, but the pumps are still set according to the previous conditions, and clients want to save energy and costs by optimising their system, ANDRITZ is the ideal service partner. For over 100 years, ANDRITZ has been a byword for competence and innovation in the development, design, and manufacture of centrifugal pumps. The company’s many years of experience all over the world will benefit you when maintaining and optimising production facilities. Enhancing the efficiency of its customers’ equipment has, in particular, been the main focus of ANDRITZ’s efforts to help its customers for many years. Large savings potential can be realised from an efficiency improvement of only 20% in the pumps used. In addition, the company gives high priority to the operating reliability and availability of plants. 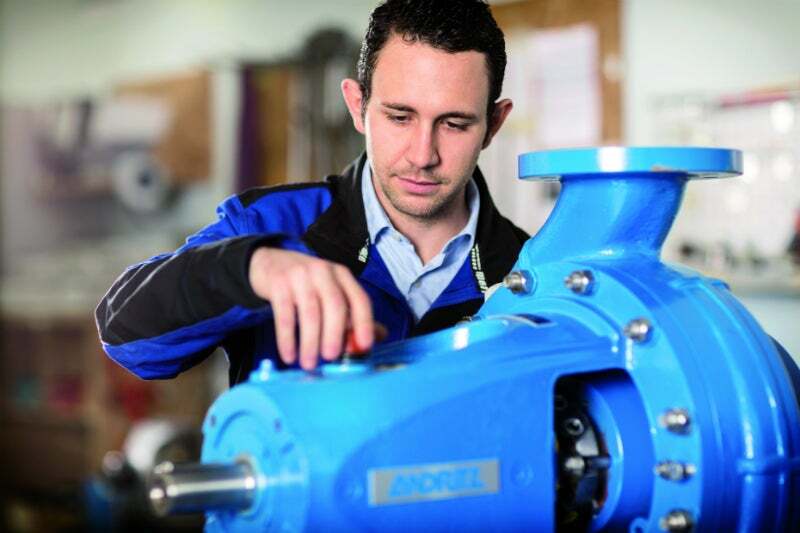 This is reflected in constant monitoring and optimisation of Andritz’s pumps. Thanks to its prestigious research institute, ANDRITZ is always one step ahead in product development and optimisation. Its customers profit daily from the know-how and experience available at its own research facility. The comprehensive ANDRITZ service package ensures the best possible operational reliability for systems in the long term. With all its state-of-the-art know-how, the company’s service team provides fast support for its own products and is also happy to assist you with products from other manufactures. After a common expert assessment – ensuring transparency and developing an ideal solution according to client’s demands – ANDRITZ takes care of complete on-site commissioning at the client’s premises and uses high-quality, original spare parts to repair pumps. Assembly is conducted according to defined schedules and with assistance from trained personnel. To optimise plants and pumps, ANDRITZ checks all system-relevant parameters such as delivery flow, pressure head, and power consumption, ensuring minimum costs at maximum operational reliability. In addition, ANDRITZ offers comprehensive supply programmes and complete electrical and process control engineering for hydropower stations. These modular equipment components can be harmonised individually and form the basis of innovative, long-term solutions. ANDRITZ courses cover everything from a general overview of pump and motor technology to application-specific maintenance and repair training for service staff. The company’s training courses are led by experienced experts from practical operations and can also be held at your company’s premises if you wish. ANDRITZ declared goal is for all products and services to meet the strict ANDRITZ quality standards and to provide a competitive edge for its customers by making constant further developments.